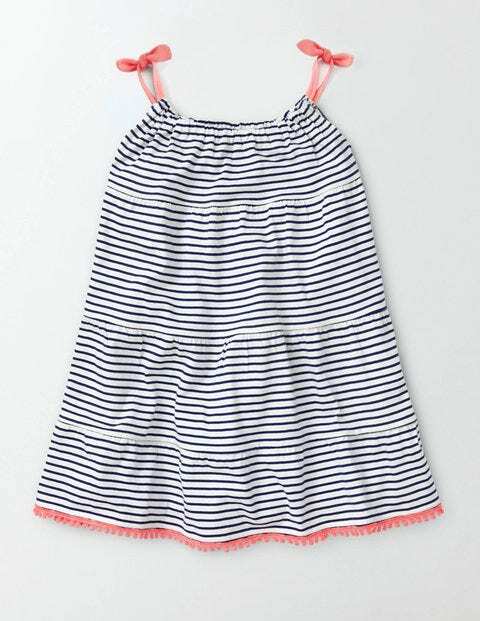 Have fun in the sun wearing this knee-length sundress with colourful pompom trim. The strappy top (with mock ties) keeps your arms cool, while the tiered cotton is a treat to twirl around in. Bright colours and patterns look great as you whizz by on the merry-go-round.